As long as the lights turn on, most people do not give much thought to the electricity in their homes. To some extent, this demonstrates how stable the utility industry has been for decades. After the major pushes to electrify the country a century ago, the industry itself has changed slowly, primarily by integrating new methods of generation. America’s energy future is expected to require radical changes to this system. As they plan for the future, utility companies are looking to secure their grids and to make them better accessible to the next generation of alternative energy, which is an ever increasing portion of the fuel mix. Even so, solar’s future is tied to low interest rates and access to financing, something that may be shifting in the coming months. More than just transitioning from one fuel to another, alternative energy is expected to change the relationship between energy consumers and producers, as well as the structure of utilities. According to recently released statistics from the Energy Information Administration (EIA), overall power generation in the U.S. fell by 1.5 percent last year. Ironically, given the focus on closing coal plants, natural gas saw the largest declines, dropping by 7 percent as opposed to coal’s 2.5 percent. Meanwhile, wind and solar generation hit new records, though still only a fraction of the fuel mix. Looking forward, however, the future looks to be mostly up in the air. According to the EIA, our energy future will increasingly rely on wind. “Hydro [will] to continue to exceed wind in 2018, but wind is projected to become the predominant renewable electricity generation source in 2019,” they wrote. Solar and wind energy are changing the way that electricity is bought and sold. The energy future seems to be one where houses are both generators and consumers of power, likely through the use of rooftop solar systems. Increasingly, states are working to allow for so-called shared or community solar. This allows developers and utilities to aggregate customers without access to rooftop solar. Through aggregation, customers buy a portion of a large-scale solar project. Research shows that community solar has 7 times the market reach of residential rooftop solar systems and many hope that it will play a large role in the energy future. Since 2015, the number of community solar projects has tripled. Some 228 utilities in 36 states had these sorts of projects by 2018, up from 68 utilities in 2015. How long this growth can continue is unclear, however. At night, when household use peaks, solar power is no longer generating. The widespread adoption of solar generation would therefore require advances in battery technology, which would allow electricity to be stored. To try to work through this issue, utilities are exploring new methods of organization, something that would have been very surprising in past decades. At heart, the changes will break down the distinction between energy customers and energy generators. The solar industry has been struggling to avoid protective tariffs for much of 2017. In the end, they failed and President Donald Trump announced a series of tariffs on foreign solar cells that many predict will lower installations this year. What fewer people are watching is the impact rising interest rates could have on solar panel installations. Tariffs are projected to increase installation costs by between 3 and 10 percent. This in turn effects the amount of financing utilities need to acquire in order to build new projects. He calculates that an increase of as little as 2 percent in interest rates could increase generation costs by 22 percent. If the Federal Reserve continues to raise rates, such a scenario becomes increasingly likely. “The higher the interest rate they’re discounting, the higher price at which electricity has to be sold on a per-kWh basis for projects to make money,” he explains. In this situation, it seems increasingly likely that consumers will face increasing rates in the near future. Historically, utilities were able to fund investments in new technologies through expanding their customer base. As consumers become increasingly energy efficient and aging technology needs to be replaced, this model seems unlikely to be sufficient. Already, utilities in certain European countries have developed methods of pricing innovation, time of use, and safety into energy bills. This allows companies additional funds to cover the integration of solar and alternative energy, but comes at a literal cost to consumers. Such solutions may be less palatable for American consumers. 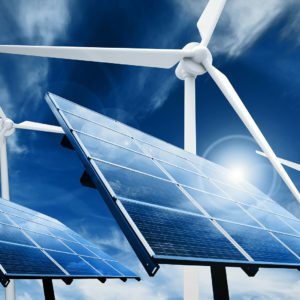 Even so, utilities are looking towards them as they work to manage the details of the alternative energy transition.